Looking for just the right color palette for a design? Inspiration may be as close as the nearest hardware store. Paint manufacturers spend a lot of money researching color trends and putting together ready-made palettes for their customers. From swatches to glossy brochures, you’re sure to see some fresh color combinations to inspire your design! And unlike your Pantone book, you can hold these swatches individually, place them next to other colors to see how they interact, and even cut them out and paste them on your inspiration board without doing hundreds of dollars in damage. But here’s something even cooler: many paint manufacturers have great websites for creating and experimenting with different color combinations. 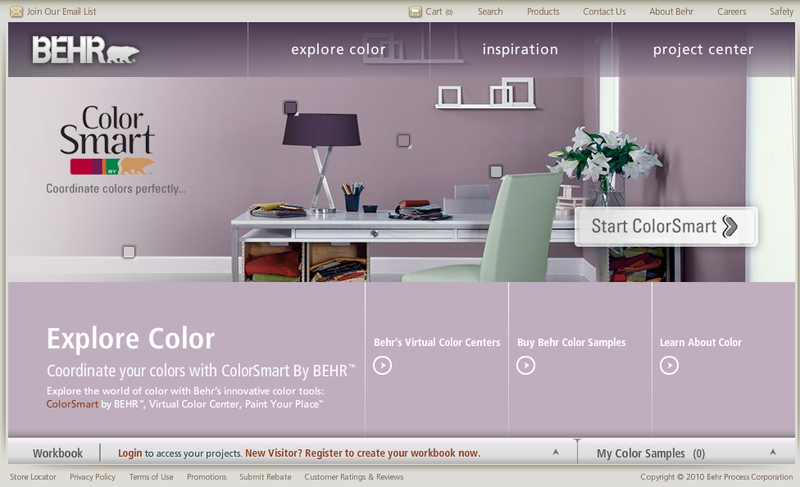 A favorite of mine is at Behr.com, which includes articles and information about color and color theory, see sample rooms and the colors that inspired them, and lets you create a room in your own color scheme using their interactive tools. 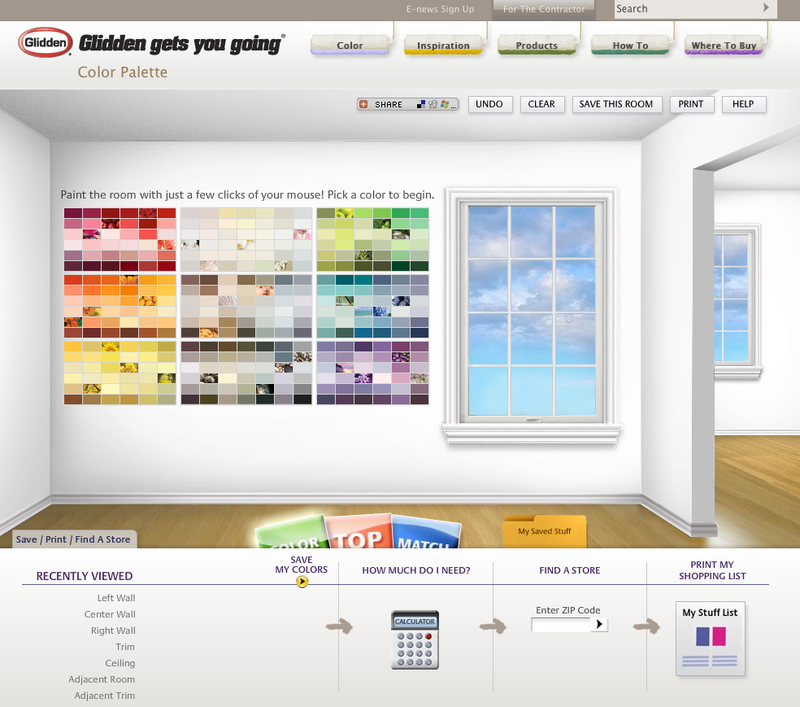 Glidden.com includes a Top 10 Color Palettes page and its own version of a color-your-room interactive. And Valspar.com includes a nice section on color palettes based on historical references, nature, architecture, ambience, and trends (this site also includes a paint-your-room interactive). I’m sure there are dozens more sites, but you get the idea. Enjoy! This entry was posted on Monday, April 26th, 2010 at 7:36 am and is filed under Design Tricks and Tips. You can follow any responses to this entry through the RSS 2.0 feed. You can leave a response, or trackback from your own site.